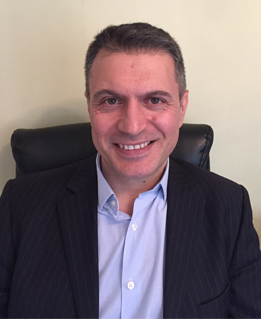 PK Legal is a well established recruitment consultancy based in the Northwest, founded by me, Pan Kakou. I trained at Hill Dickinson in Liverpool, qualified in 1998 and practised within their Marine department for two years before moving to Leeds to join the corporate finance department of what is now known as Pinsent Masons. After a combined period of over four years practising within Top 50 Legal 100 law firms I decided it was time to help others through recruitment. I came back to Liverpool, and joined a well respected specialist legal recruitment agency in Manchester. After several years’ experience of recruiting from Partner to paralegal level across the North West and West Midlands I thought it was time to venture by myself. As a result, PK Legal was created in 2013. Between practising the law and a career in legal recruitment, I have over 20 years’ experience (and still counting!!) in the legal industry. PK Legal is a specialist headhunting, search and consulting practice for the legal market. Whether you are a law firm or a lawyer I am here to help, whether it is for your next move or just for simple careers advice. Some lawyers may think bigger is better when choosing a recruitment consultancy. PK Legal is about recruitment tailored for you. In other words, you are not just another candidate, a number on a database, on the contrary, you have made the decision to call me and I will take the time to listen to you and to extract all the salient points I need to understand what your raison d’être for calling me is and subsequently, advising you as to what is best. I advise and you make the decision, it’s as simple as that. If you are already registered with a number of agencies I don’t think PK Legal will be for you.